Gold, silver and platinum futures ended lower Thursday following two days of gains, while palladium lifted its winning streak to four in a row. Gold for April delivery declined $14.20, or 1.1%, to settle at $1,295.10 an ounce on the Comex division of the New York Mercantile Exchange. "Some profit taking from recent gains was featured today and no significant chart damage occurred from today’s losses," Jim Wyckoff, a senior analyst at Kitco Metals Inc., said in a daily report. "Pressure also came from downbeat economic data coming out of China and by a firmer U.S. dollar index today." 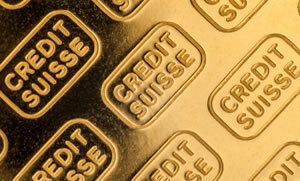 Gold futures ranged from a low of $1,292.50 to a high of $1,310.30. They gained 0.9% on Wednesday — closing at their highest point since Feb. 28, rose 0.5% on Tuesday, and slipped 0.6% on Monday. Silver for May delivery fell 28.5 cents, or 1.8%, to close at $15.171 an ounce. Silver futures traded between $15.13 and $15.47. They added 0.3% on Wednesday, moved up 0.9% on Tuesday and declined 0.5% on Monday. April platinum lost $14.60, or 1.7%, to $827.10 an ounce, ranging from $824.10 to $845.20. Palladium for June delivery rose $7.90, or 0.5%, to $1,514.60 an ounce, trading between $1,500.30 and $1,518.30. Gold fell $11.40, or 0.9%, to $1,295.55 an ounce. Silver tumbled 28.5 cents, or 1.8%, to $15.235 an ounce. United States Mint bullion sales climbed by 500 ounces in American Platinum Eagles. Below is a sales breakdown of U.S. Mint bullion products with columns listing the number of coins sold during varying periods.